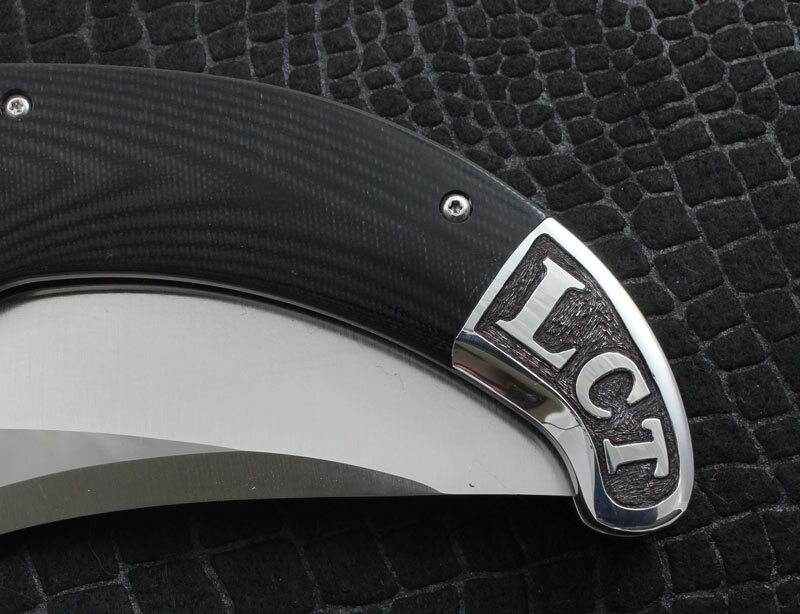 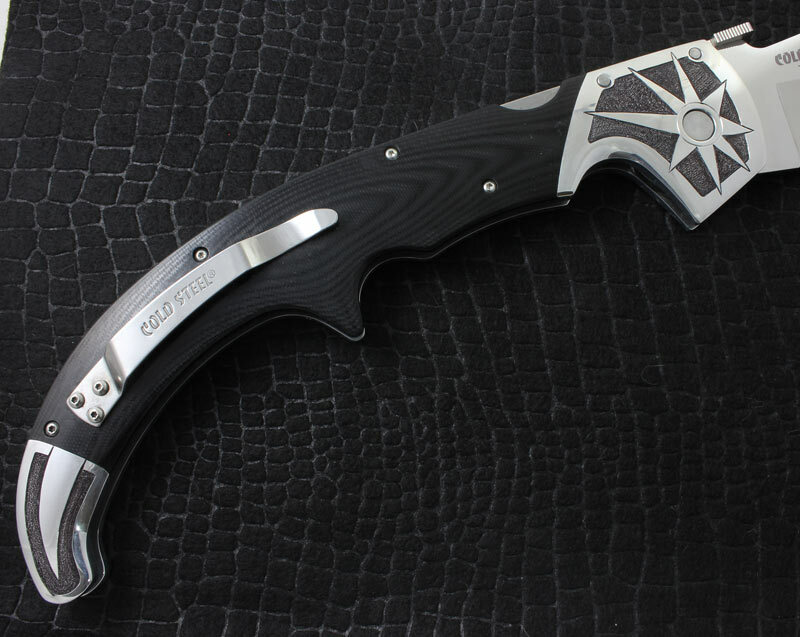 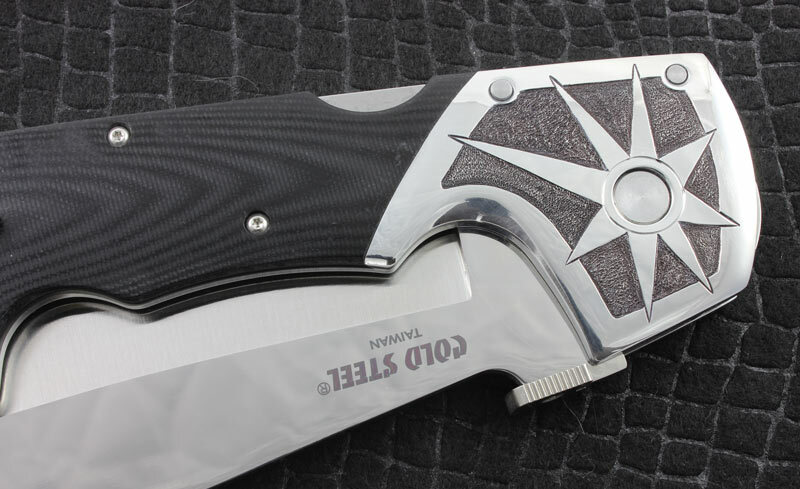 I was commissioned to engrave this beautiful Cold Steel Espada XL folding knife by Lynn Thompson, President of Cold Steel Knives. 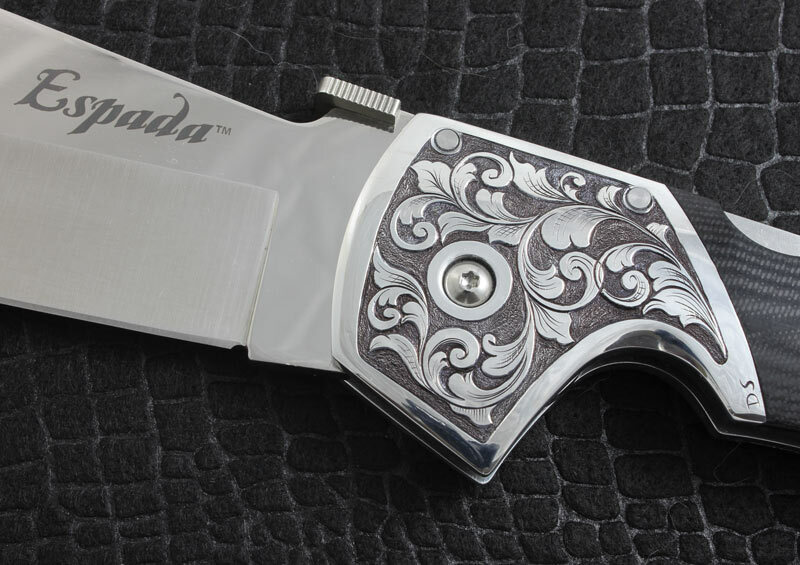 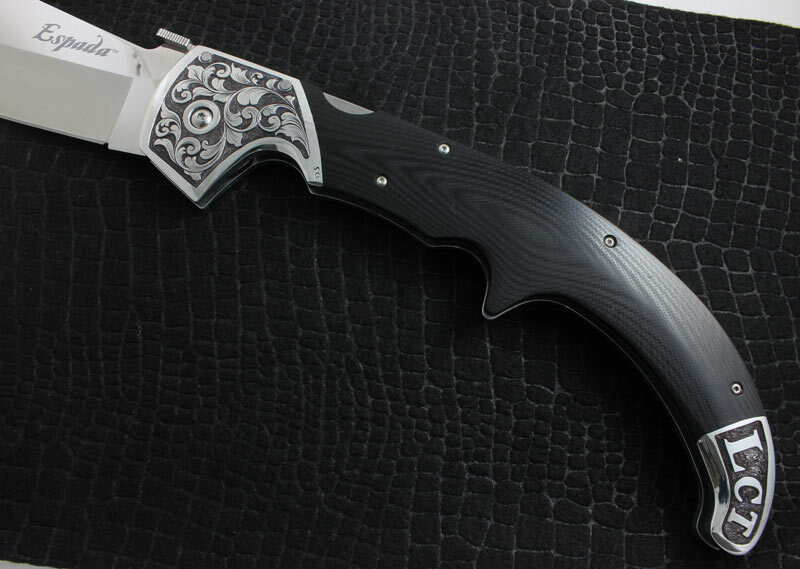 I decided to give this knife a “split personality” with classic scroll engraving on the top side and a more contemporary design in the back. 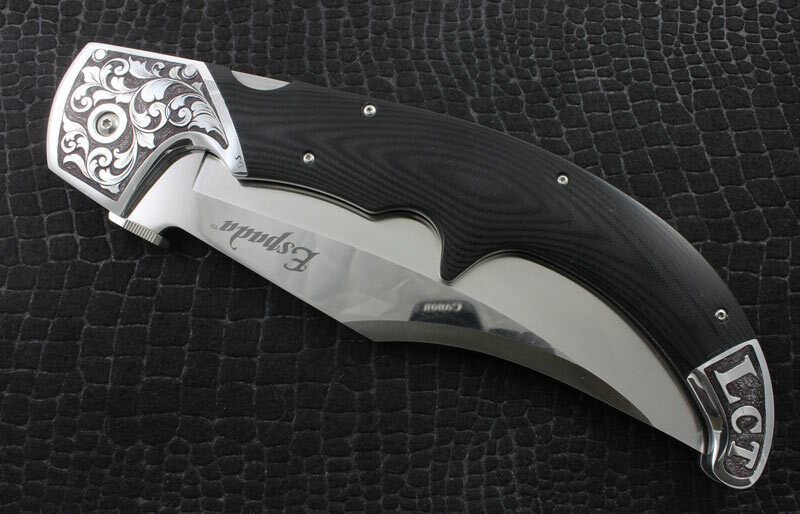 The Hand Engraving is deep relief style where the background is removed and stippled (textured) which gives the engraving a rich, 3 dimensional look and feel. 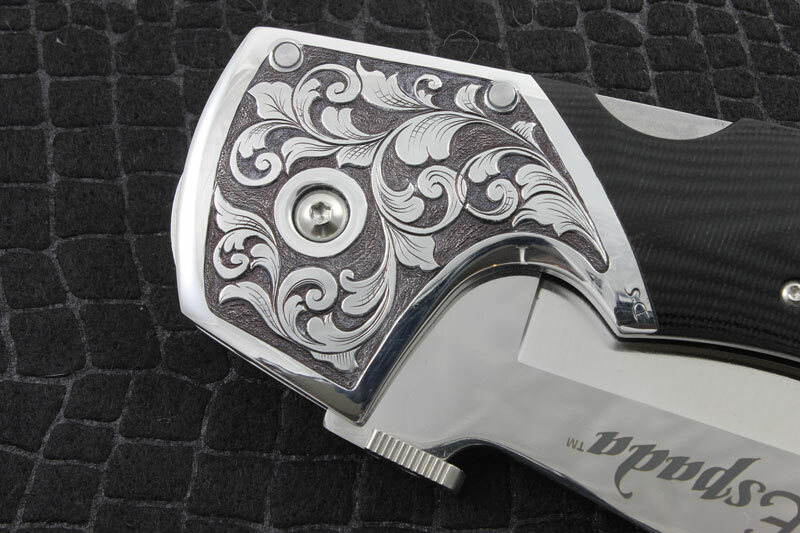 This is the most time intensive type of hand engraving but I think it is time well spent considering the luxurious look and feel.